Who Provides the Best Help for Online Advertising? There are other ways of marketing your business online. However, the support, advice and help that you receive from Google AdWords and the various companies who provide Google AdWords Management Services, is unbeatable. Any online advertising help that you might so desire would always be given if you were to become part of the Google AdWords Advertising Network. Watch the short video below and we will illustrate to you some of the main ways in which you would be able to receive Online Advertising Help by marketing your business via Google AdWords. If, having watched the video, you are intrigued, please do continue to read the rest of this article, which explains each point highlighted in the video in more depth. Online Advertising Help is near at hand when you start Advertising via Google AdWords Pay Per Click and Webrageous Studios is most definitely happy to explain how. Google is the largest and most popular search engine in the world and therefore it can help any advertiser to market his / her business to the largest audience available online. If you are looking for the best kind of online advertising help, we suggest that you use Google AdWords because you will cease to worry about how much money you are investing. Pay Per Click Advertising gives you the freedom to choose how much money you spend and when. 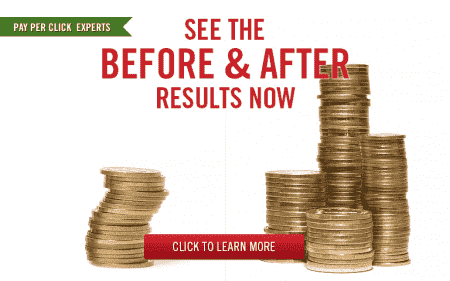 Changes to your advertising budget can be achieved at the click of a button. Online Advertising Support doesn’t get better than this. There are various different Advertising Tools and Features available, provided by Google AdWords and other marketing experts, which provide instant help with targeting your advertising to the appropriate audience. With the help of these tools, you can target your Online Advertising to potential clients by focusing on location, gender and even the general interests of your niche market without difficulty. If you choose to advertise via Google AdWords, you will be guaranteed the best kind of support for your internet marketing campaigns. The Google AdWords Support Service is thorough and useful. There is nothing better to have close at hand than AdWords Advertising Support and the specialist team that deals with all your inquiries and needs. If you want the Best Online Advertising Help that money can buy, hire a Google AdWords Consultant or employ a Pay Per Click Manager. Consultants will act as expert advisers who you can contact whenever you need advice on something. Pay Per Click Managers will run your online advertising campaigns for you and you will never need to ask for marketing advice ever again. For more information on hiring a Google AdWords Consultant or Pay Per Click Manager, contact Webrageous Studios today and we will put you in touch with one of our own experts in the field. Online Advertising Help is at your fingertips.